There’s nothing to it, really, if you understand colours and pixels. All that is really needed is software and gazillions of patience, as indeed working with graphics is never achieved with the snap of fingers. It is no different from doing a colouring book; and just as therapeutic. 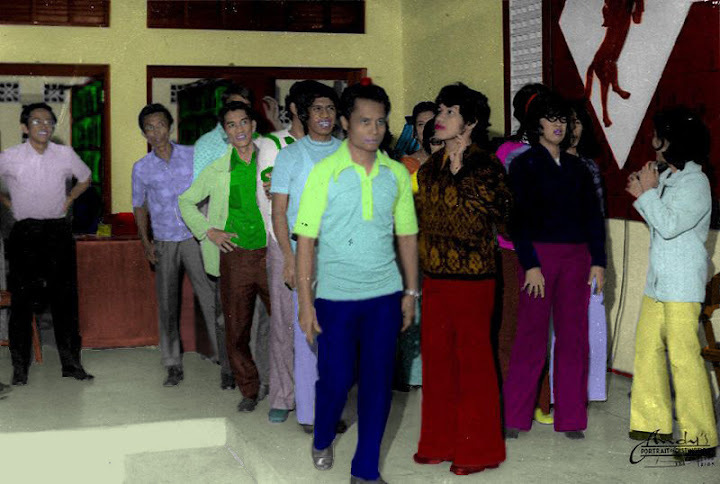 The original pictures in this collection were all from the DLSL Archives; and I had the greatest fun giving them a new lease on life using colourising software. The end results are not perfect as indeed I still have to see colourised work that looks like it was originally taken with colour film. I tried to colourise buildings as I remember their original colours; but for the most part it was just guess work, especially when treating clothes. 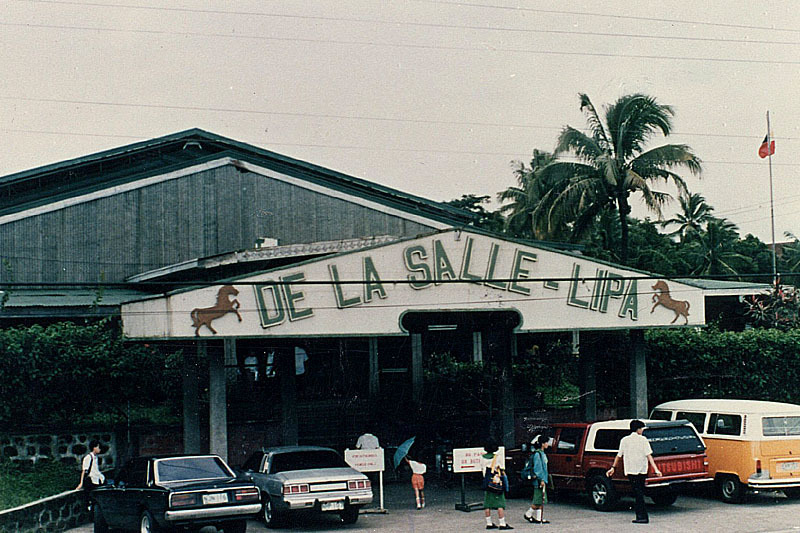 Whatever everyone thinks of the end results, there is no mistaking that anyone associated with DLSL at one time or the other will certainly find this collection nostalgic. Meanwhile, this first instalment, I am guessing, was taken during a faculty Christmas party at the old library. Some very familiar faces – at least for oldtimers – in the picture: Sir Cris Zarate, Mr. Rolando Baltazar, Mr. Ella (the cashier at the time, if memory serves me right), Mrs. Rosemarie Robles, the two Mr. Magtibays, Mr. Ona and many others. Click on the numbers to see the other pictures. Share this post freely!